Lucy’s 5th birthday was yesterday. Which is weird, because I could swear I just gave birth to her like a week ago. But no, apparently it’s been five years. The girls were with me this past weekend, so we had Lucy’s birthday party a few days early. 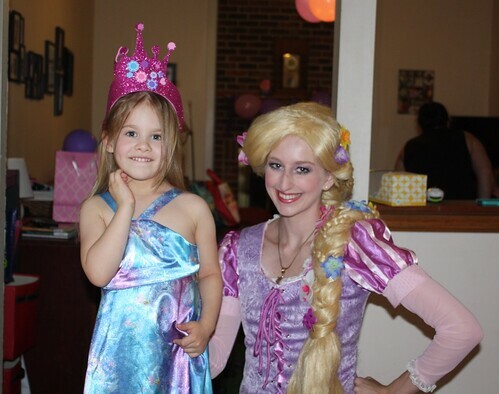 Last year, I found a company that hires out princesses for birthday parties, and we had Elsa and Anna come to her party. She asked if she could have a princess at her party again this year. And ok, hiring a princess for a kid’s birthday party definitely qualifies as a frivolous expense, and she would’ve been fine if I had said no and that we were only having her friends over to our house. But you know, there are only a few short years where you can make special occasions magical for your children, so why not? Bring on Rapunzel. 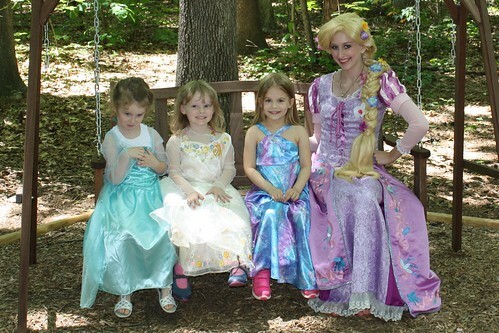 The kids all had a blast, and Catie got to hang out with her cousins, so even the non-Princess-loving crowd was happy. Overall, A+ birthday party. Her daycare is having their pre-K graduation program at the end of June. 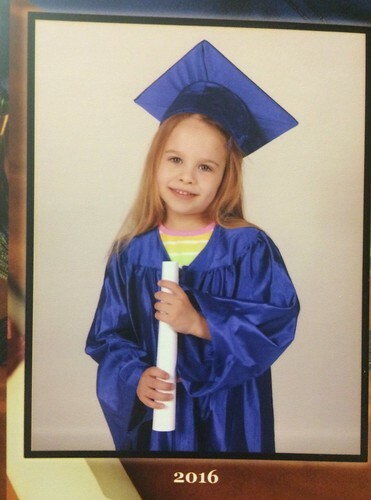 And I know the whole notion of pre-K graduation is silly. It’s not like she’s finishing college. But this marks the end of us going to the daycare where one or both of my kids has been for the last 6 1/2 years. Catie started there right before she turned 3, and Lucy’s been there since she was 2 months old. This place has been part of our daily lives for so long, it feels like the end of an era. And yeah ok, I’m super-excited that I won’t have to pay for daycare anymore. (Mama’s getting a raise!) But not gonna lie, I’ll probably cry during that graduation program. Happy birthday, Lucy Goose. I always think that it’s no coincidence that your name, Lucille, means “light” – you are an absolute ray of joy and sunshine in our lives. We love you so much, and I cannot wait to see what this year brings for you, my sweet girl. 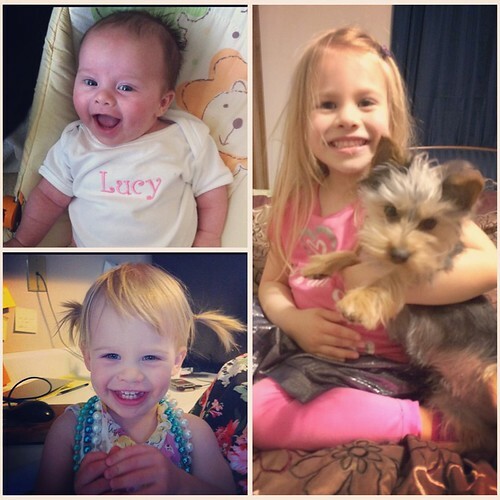 This entry was posted in Lucy and tagged 5 years old, birthday, Lucy by Cindy. Bookmark the permalink.